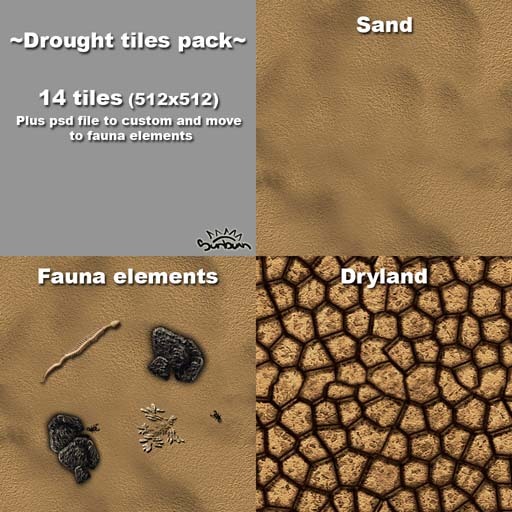 The pack contains 14 tiles, 2 mains and 12 "transition" tiles. 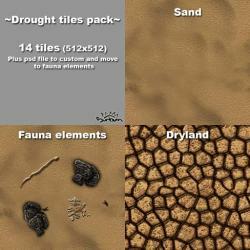 Each of them can be customize with a few "fauna" elements. These elements are individual layers in the psd file provided in the 7zip file.